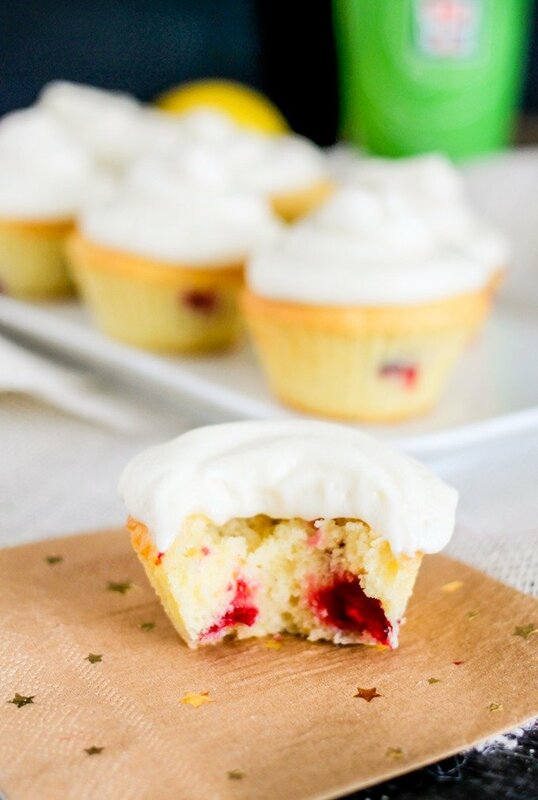 Cranberry Lemon Cupcakes with Lemon Cream Cheese Frosting are the perfect anytime treat, but they are especially tasty around the holidays! 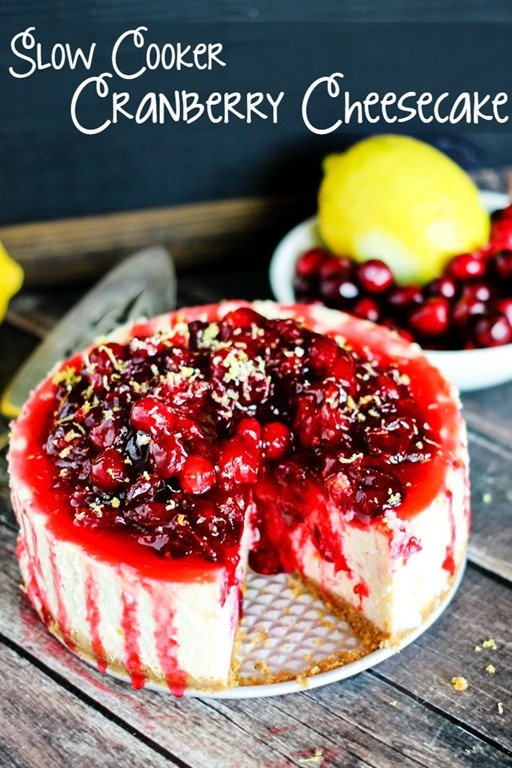 The last few weeks I have been experimenting with lots of seasonal recipes, including some delicious cranberry recipes! 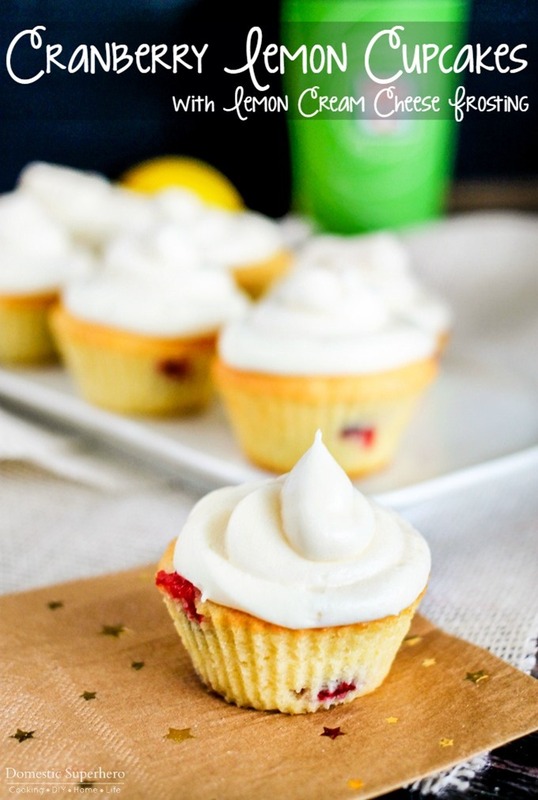 I came up with these Cranberry Lemon Cupcakes and then decided to top them with a tasty Lemon Cream Cheese Frosting. 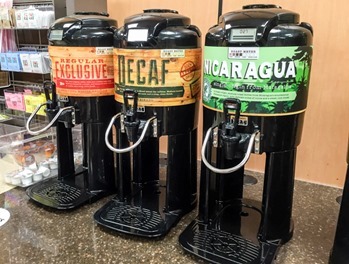 They are yummy and go perfectly with 7-Eleven’s new Nicaragua Matagalpa Single-Origin coffee. 7-Eleven has graciously sponsored this post, but as always all opinions are my own. 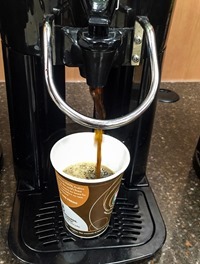 I heard that 7-Eleven was going to be carrying a new coffee, a type where the beans are sourced from coffee-growers who are Rainforest Alliance Certified, which means the coffee comes entirely from farms that meet strict standards designed to protect the environment. I was excited to hear this, and headed out to 7-Eleven on November 9th to try out a cup. The new Nicaragua Single-Origin Coffee from Matagalpa is a special blend, made exclusively of coffee beans harvested from Nicaragua’s famed Matagalpa region.. The coffee is a full-bodied medium-dark roast with a delicious dark chocolate aroma and rich, sweet notes of cocoa – right up my alley! 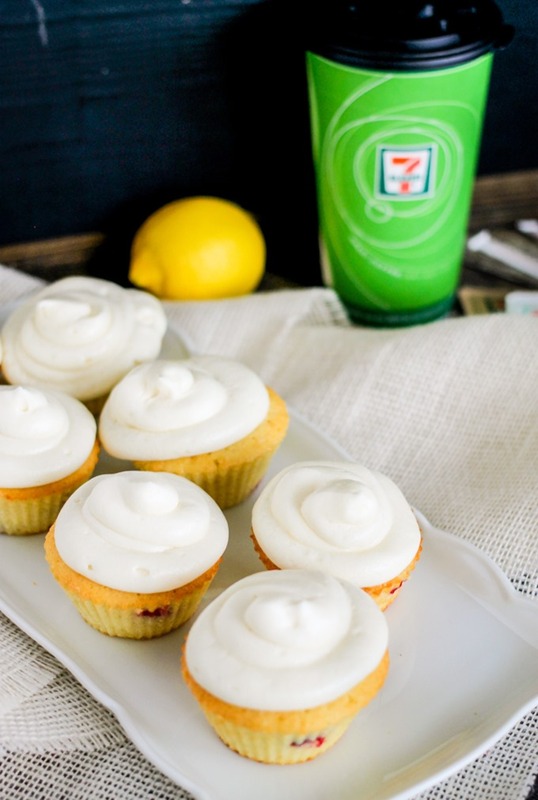 I was really excited to bring a cup home and enjoy it with my Cranberry Lemon Cupcakes with Lemon Cream Cheese Frosting. They complimented each other perfectly and my husband really enjoyed them as well. 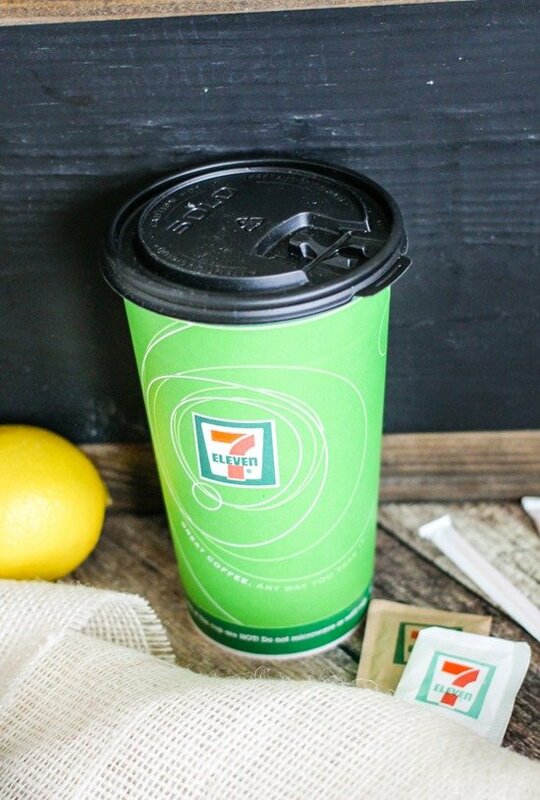 It is good to know that 7-Eleven believes that when it tastes good, it should also feel good; which is why they introduced a sustainably sourced coffee. 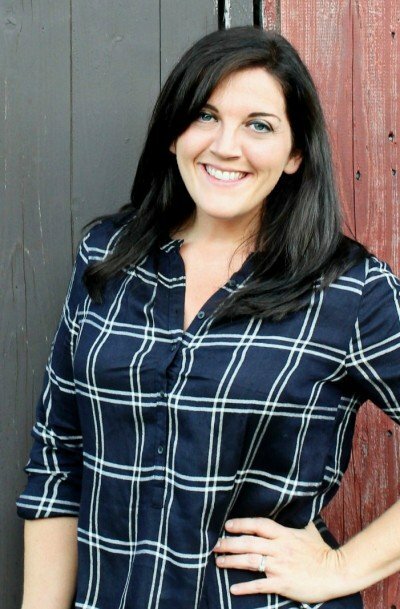 They are committed to reducing their impact on the environment and sourcing coffee that is produced using strict, eco-friendly standards makes good sense. This makes me so happy! I wish all companies would follow suit! I highly recommend trying out these cupcakes as well! 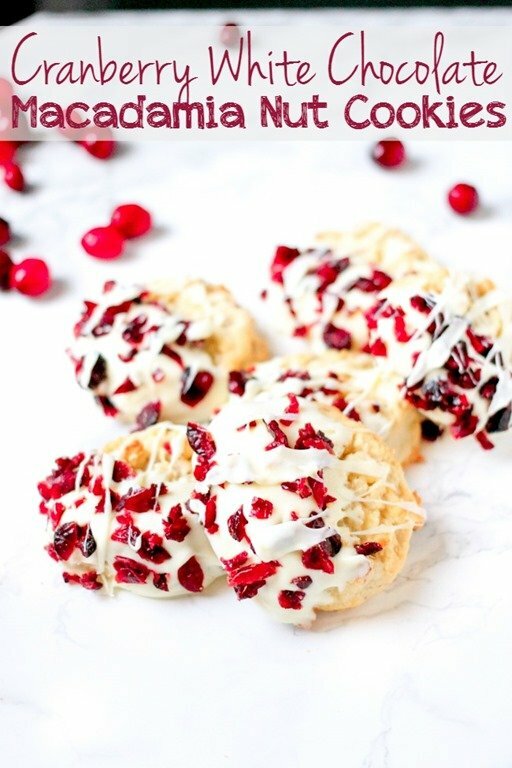 They are perfect for the holidays and so delicious! Preheat oven to 325 degrees. grease or line muffin tins; set aside. In a small bowl whisk together yogurt, zest, lemon juice (from 1 lemon), and vanilla, set aside. 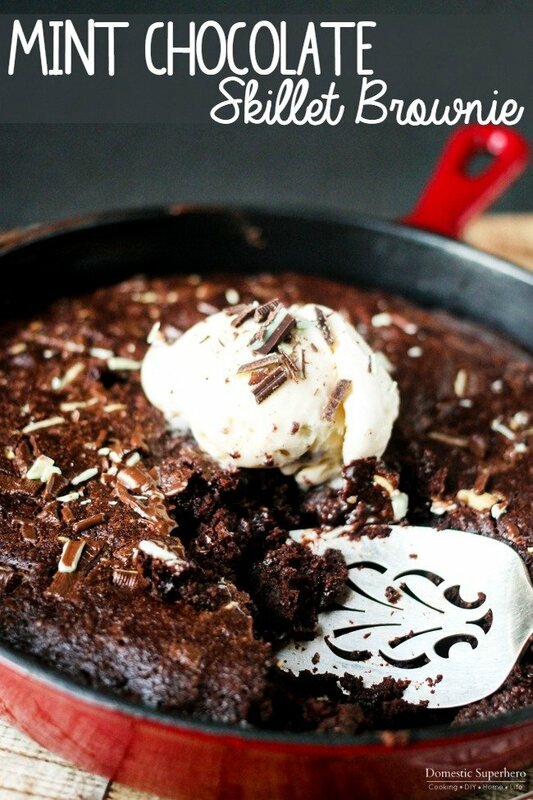 In a medium bowl, whisk together flour, baking powder, baking soda, and salt; set aside. Using a stand mixer or electric mixer, add butter and sugar to the bowl and cream; about 2 minutes at high speed. Add eggs, one at a time, combining well after each egg. Slowly add half of the flour mixture, and mix at a slow speed (or you will have a mess all over! ), then add ½ of the yogurt mixture and mix until just combined. Add remaining flour mixture and combine; add remaining yogurt mixture and mix until just combined. Remove bowl from stand mixer, add the cranberries, and fold gently to combine. Pour batter into muffin tins, about 3/4 of the way full. Cook for 22-30 minutes, testing with a toothpick starting at 22 minutes. When it comes out clean, they are done (mine took exactly 30 mins). Remove and set on a wire rack until cool. Using a stand mixer, cream together butter and cream cheese until smooth. Add vanilla, lemon juice, lemon zest, and mix for a few seconds until combined. Add powdered sugar and mix on low until lightly incorporated, turn speed to high and whip for 1-2 minutes or until fluffy. Pipe frosting on the tops of the cooled cupcakes, serve and enjoy! This is a sponsored post written by me on behalf of 7-Eleven, as always, all opinions are my own.